China’s biggest-ever German takeover is a far from rubbish deal. State-backed Beijing Enterprises is buying Energy from Waste (or EEW) for $1.6 billion. The Chinese conglomerate, an odd hybrid of utility and brewer, won a fierce contest to buy EEW, which collects and burns waste to make electricity, heat and steam. This deal comes amid a record blitz of foreign deals from China – but unlike some of the splashier examples, looks decently priced and makes obvious strategic sense. Including debt, the deal values EEW at 9.5 times EBITDA. That is not much more than the 9 times EBITDA that Li Ka-shing’s Cheung Kong Infrastructure paid for a similar Dutch company in 2013, according to Reuters – and a lot more reasonable than, to take one example, the roughly 18 times EBITDA that Dalian Wanda recently paid for Ironman triathlons. Moreover, clean technology is in demand in China as President Xi Jinping looks to fix the country’s chronic pollution problem, which is as much about overflowing landfills as it is about ever-present smog. EEW’s expertise will give Beijing Enterprises an edge in converting rubbish into energy. It could perhaps make use of the low-cost green financing China is pushing too, via instruments like green bonds. The payoff will require patience. 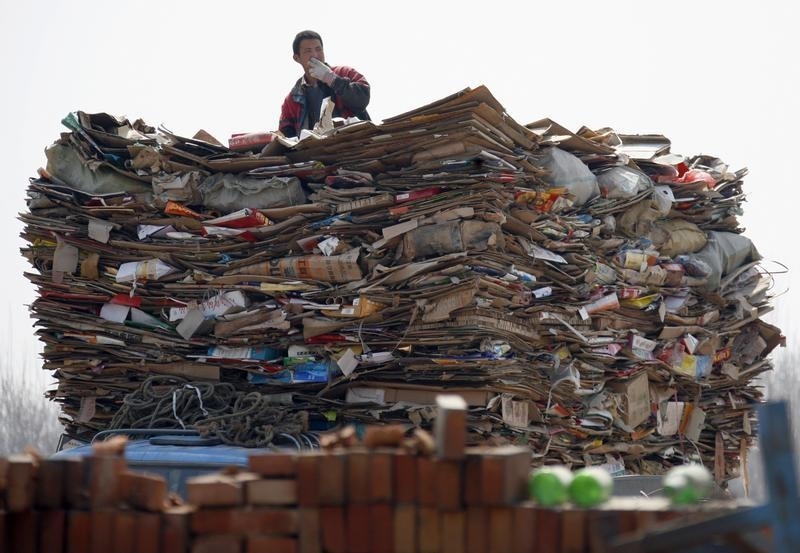 The value of trash varies from city to city, making it harder to find the more profitable markets in China. And while the industry is less competitive than in Europe, regulations are also less strictly enforced. So some firms just dump garbage rather than pay for it to be taken away. In the southern megacity of Shenzhen, an unauthorized landfill grew large enough to bury dozens of buildings when it collapsed in December. Enforcing the rules and changing bad habits will take time. The fact Beijing Enterprises beat other Chinese suitors, including China Tianying and Beijing Capital, shows it is not alone in trying to cash in on China’s green ambitions. Expect more trashy buys. Hong Kong-listed Beijing Enterprises agreed to buy Germany’s Energy from Waste for 1.4 billion euros ($1.6 billion) from Swedish private equity firm EQT Partners, the seller said on Feb. 4. The deal is worth 1.8 billion euros including debt, Reuters reported, citing sources familiar with the transaction. That values the company at 9.5 times EBITDA, Reuters said. This is the largest acquisition of a waste management company by a Chinese buyer, ThomsonOne data shows, and the largest Chinese acquisition in Germany to date. Beijing Enterprises, a conglomerate controlled by the municipal government, provides gas, water and waste treatment. It also owns Beijing Yanjing Brewery, one of China’s biggest beermakers.